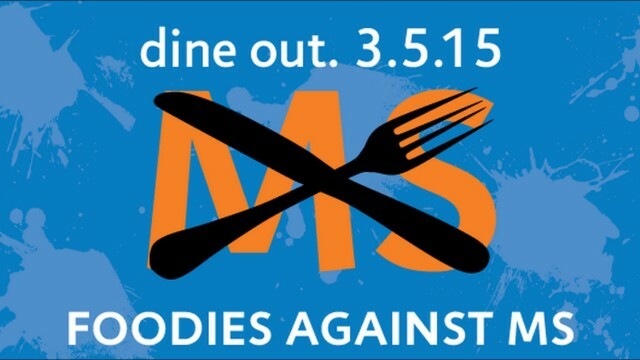 The National Multiple Sclerosis Society in San Diego is celebrating MS Awareness Week with “Foodies Against MS,” a fundraiser on Thursday with more than 35 restaurants participating. The restaurants, which include full-service and fast-food eateries, sushi and even ice cream shops, have agreed to donate a percentage from each purchase on Thursday to the National MS Society. Some restaurants are donating up to 20 percent of the bill. Participating restaurants include BJ’s Restaurant & Brewhouse, Board & Brew, Boudin Bakery, Brigantine, Chick-fil-A, Chili’s, Cold Stone Creamery, El Pollo Loco, On the Border, The Patio, Poway Sushi Lounge, Sammy’s Woodfired Pizza and Slater’s 50/50. Additional details, including links to flyers and a list of participating restaurants, are available online. MS is an unpredictable, often disabling disease of the central nervous system that interrupts the flow of information within the brain and between the brain and body. Symptoms can range from numbness and tingling to blindness and paralysis. Most people with MS are diagnosed between the ages of 20 and 50, with at least two to three times more women than men being diagnosed with the disease.